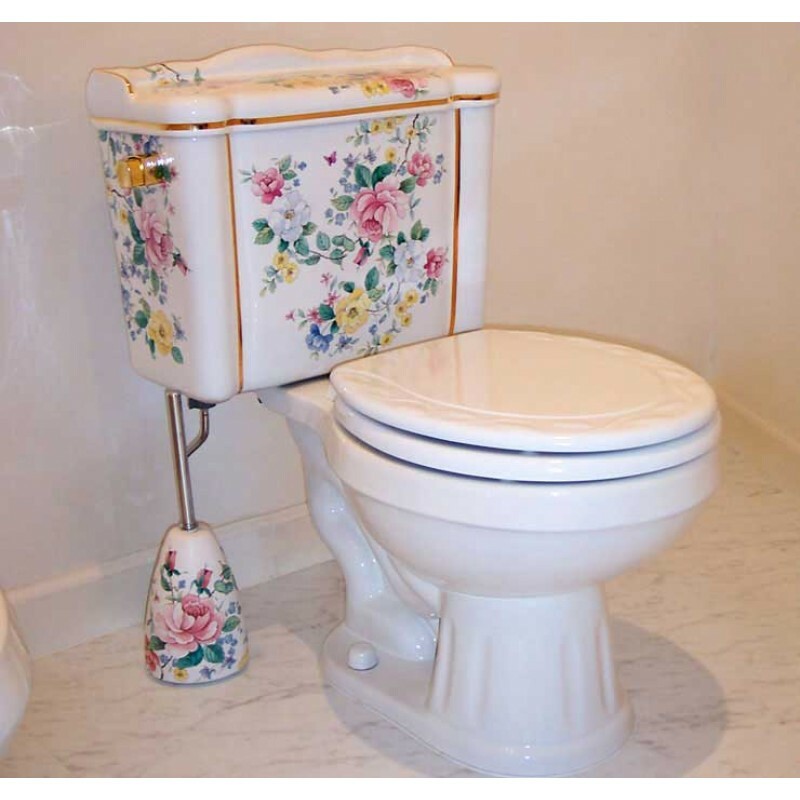 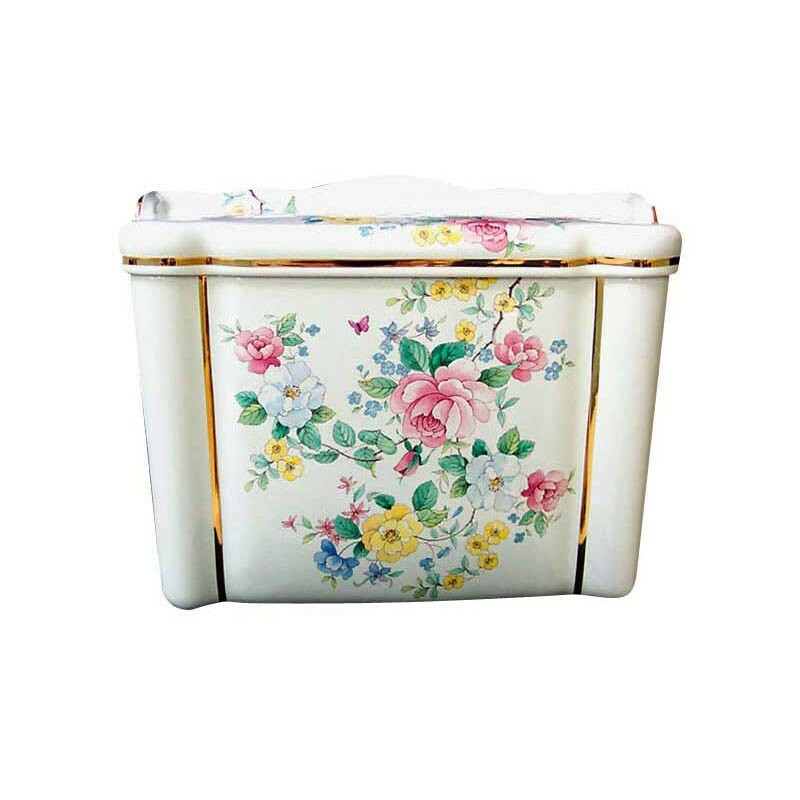 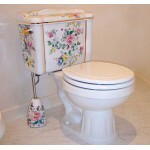 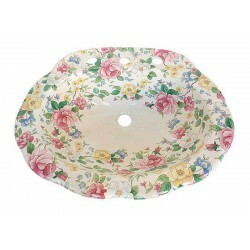 Take a trip into a summer garden all year long with pink and white roses, yellow buttercups, light blue forget-me-nots, lots of green leaves and even a butterfly or ladybug, delicately painted in a watercolor style painted on a Victorian style toilet. 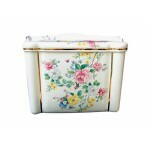 Available with or without the gold bands. 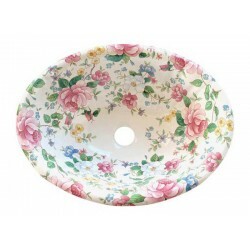 Coordinates with the Chintz Garden Fluted drop-in.